Last night, several members of Wisconsin’s Joint Finance Committee voted poorly on many issues related to K-12 public education. To me, the most shocking was the decision that “essentially eliminates teacher licensing standards by allowing public and private schools to hire anyone to teach, even those without a bachelor’s degree”. There are lots of occupations out there that do not demand a bachelor’s degree, including Governor of Wisconsin. But teaching shouldn’t be one of them. I should know. I was a classroom teacher for eight years, and a school principal for just as long. Teaching is an incredibly complex and challenging craft. In my estimation, it requires an individual to become very good at teaching at least three years of classroom experience beyond their completed college experience. The foundational learning that occurs in undergraduate courses and student teaching is only the beginning. It truly is a profession that one learns as they do it, and the learning never ends. As an example, I recently observed a primary teacher facilitate a math lesson on arrays (rows and columns of tiles to convey an equation or form a shape). An uneducated bystander without the requisite background knowledge to understand teaching and learning would observe this lesson and probably think it was fine. The intent of the lesson was clearly stated in writing, verbally, and visually. The teacher kept the students active, allowing them to get up every 10 minutes or so between activities. This is pedagogically-sound (I doubt the term “pedagogy” could be accurately defined by several members of our Joint Finance Committee). She used formative assessment, such as observing answers on held whiteboards, to ensure all students with a wide variety of abilities were ready for the next step. Small actions by the teacher avoided bigger problems with the students. For example, she used thoughtful language that focused on the positive of a student’s actions, instead of pointing out his faults and possibly causing a major behavior disruption. One wrong word could have led to ten minutes of lost instruction. Wait time was given for a student who was struggling to process an answer and share it aloud. A clear transition between arrays and formal geometry was conveyed by the teacher only when every student was ready to cognitively make that transition. This was not the full extent of all the positive work I saw in her classroom today. At our post-observation conference, I started by asking her how she thought she did. “Well, I wish my questions I presented for the students would have been more open-ended. I wanted to help them get to a deeper understanding of the math concept.” Does this sound like someone who is less than a professional? Teaching is a special vocation, reserved only for the very best and brightest. It takes both intelligence and empathy, a rare combination that exists in our school and in many, many others in the state. To reduce our profession to something that anyone can do clearly shows the ignorance of the policy makers that somehow saw sanity in a decision that had no business being a part of the Joint Finance Committee. 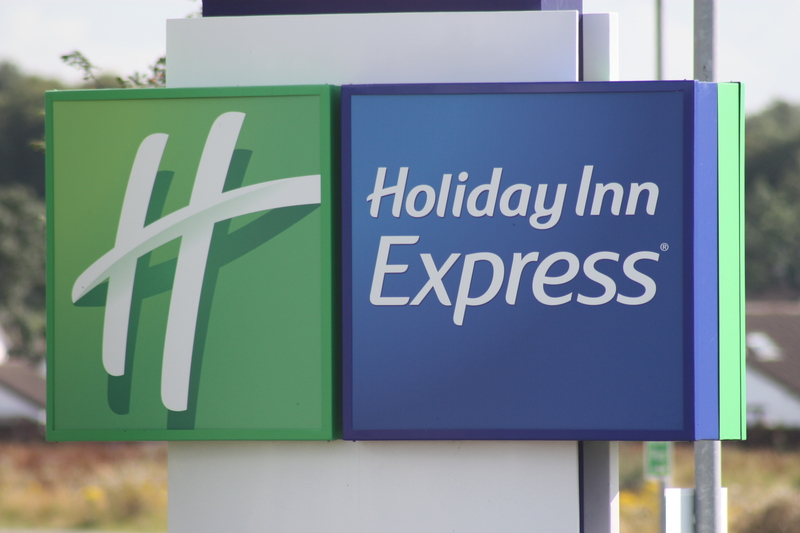 In summary, getting a license to teach in schools, whether public or private, shouldn’t be as easy as staying at a Holiday Inn Express. You don’t just wake up and become a highly-qualified educator. It takes years of study, experience, reflection, and collaboration to get to a point of excellence. Those that attempt to reduce our status as professionals did not succeed. We know better. All they did was to continue to set public schools up for failure in order to ensure privatization of public education gains momentum in Wisconsin. Our students and young families, the future of Wisconsin, are the ones who will suffer. And all because of money. Education is not a market – it is an endeavor to help build better lives. Well said, Matt. I agree. The learning never stops, and it takes a long time to develop the ability to respond “intuitively” to the changing needs of learners. How fortunate is your teacher to benefit from the encouraging and constructive feedback she received both from you and herself. Her own reflections would have been greatly enhanced by the addition of your comments. Thanks Norah. I did share several of the comments listed with her after her initial reflection. Nice perspective & great share! The essential components of a profession are the two legal components of a) client consent and b) practitioner liability, including for cost and outcome of service. The fact that teaching requires skill does not make it a profession. It especially cannot be considered one while it is driven by government policy, as it must be when done in a government institution. I might add that because of the liability component, no profession can train its incoming cohorts in such a way that additional years of experience are needed before they can be considered competent. A graduated practitioner in a profession is deemed liable on their first day and must adhere to the same standards of practice as those who are about to retire. Experience permits specialization, and it obviously increases capacity and facility with the work, but it cannot be deemed necessary for mere competence. All professions are entrepreneurial, even if, as in engineering for example, some practitioners work in the public sector. This keeps their training relevant. A dentist who needs three years of experience after training to become competent could not, and indeed should not, survive in private practice, and would likely sue the training facility that deemed them competent when they were not. All this is not to say that teacher professionalism is an unreachable goal. In five of the US states, it is a reality for a very few teachers thanks to the advent of Education Savings Accounts. Putting education funding directly into the hands of parents to be paid to the teachers of their choice for the services they select allows teachers to work under professional conditions. This takes the occupation back to the standing it enjoyed prior to the capture of teacher training by the universities, which produced pedagogists who wanted to raise “the whole child” rather than the teachers of skills that the public and parents wanted. Today, the university education faculties remain the most substantial barrier to teacher professionalism. No teacher can expect as a matter of course to perform competently given what passes for training, and only some of them are capable of learning on the job. The whole testing culture came about as a compensation for the fact that most teachers were never trained to teach what the public valued. Professionalism and freedom from testing culture can be achieved by renouncing compulsory schooling, letting parents choose teachers (or more likely, principals and the schools they run) and making teachers (or principals) legally liable for the outcomes, year-to-year, of the students who choose to attend their classes. Professionalism cannot be achieved by insisting a field is too complicated for laypeople to understand. There is no need for a client to be an expert to discern whether they are or are not getting the service they want. One may or may not understand the intricacies of knee surgery, but one knows if the surgery was done on the correct leg, and whether the knee works better or not. The point of professionalism IS service to the non-professional client’s satisfaction. Certainly such changes require thought, and generally, incremental change has some advantages. So I can see why some second thought might prevail. Although if I were tweaking it, I’d attend to replacing teachers in the primary grades, because by Grade 6, the damage is done – illiteracy and innumeracy, and the associated lack of confidence and acting out, are well-established and intractable. As I perhaps should have made clear, I’m not local to Wisconsin, but am interested because populations and governments everywhere are struggling with teachers who do have education degrees but use them to justify not-teaching, and simply will not teach – are only trained not to teach. You may be aware of the book with the catchy title, “Credentialed to Destroy,” which captures the nature of the problem nicely. So thank you for the additional update. This is a really innovative approach to addressing the flaws in teacher training, and even if not right first time, deserves attention.